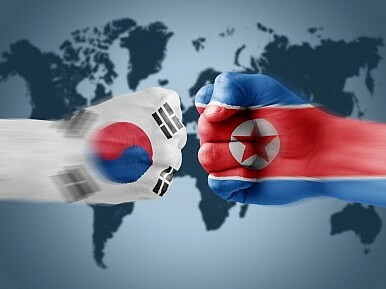 Tensions flared again between the two Koreas on May 22 as the two countries exchanged artillery fire across the Northern Limitation Line (NLL), the conflict-ridden maritime border claimed by the South Korean government. On May 20, South Korean naval vessels fired ten warning shots at three North Korean patrol boats that were spotted south of the NLL. Although the offending ships withdrew without incident that day, Pyongyang issued a strongly worded condemnation on May 21 when the spokesperson from the Korean People’s Army claimed that the North Korean military would open fire on any South Korean ships found in the disputed maritime frontier. This threat was fulfilled the very next day when two North Korean shells landed within 150 meters of a South Korean guided-missile patrol boat that was conducting a routine mission 10 kilometers south of the NLL. The proximity of the shots to the South Korean vessel led many analysts to believe that the shells were specifically targeting the patrol boat, sparking concerns that this marks the beginning of a new kind of provocative behavior by Pyongyang. Clashes between the South and North Korean navies in the Yellow Sea have become increasingly common since 1999, when Pyongyang began aggressively advancing an alternative maritime demarcation line that extended North Korea’s territorial waters 12 nautical miles from its coastline. In particular, South Korea’s Yeonpyeong Island, lying just 12 km (7.5 miles) south of the North Korean coastline, has been a frequent flashpoint. In 2010, the island was shelled by North Korea in an unprecedented attack on civilians, killing two civilians alongside two soldiers and wounding many others. The most recent provocation also occurred 14 kilometers southwest of the island. Although there have been many skirmishes between patrol boats along the NLL, this was the first time that the North Korean military has targeted South Korean naval vessels from a distance, revealing Pyongyang’s willingness to devise new forms of provocation and further escalate tensions. This aggressive posture has been the mainstay of North Korea’s strategy against the better-equipped and better-supplied South Korean forces. The timing of the incident has also attracted attention among some analysts in South Korea. The Park Geun-hye administration is currently in deep turmoil over its disastrous handling of the Sewol ferry tragedy on April 16. Comments about the government’s poor response made by two senior national security advisers in the cabinet, director of national security Kim Jang-soo and director of the National Intelligence Service Nam Jae-joon, have led to their resignations. Given that the North Korean provocation occurred within hours of their resignations, analysts suggest that Pyongyang may be probing and testing South Korea’s ability to respond during challenging times. For its part, Seoul is sticking to the principle of responding to North Korean aggression with disproportionate force, which it established after the sinking of the South Korean corvette Cheonan in March 2010. In its counter-barrage yesterday, the South Korean navy fired five shots, targeting waters close to a group of North Korean naval vessels north of the NLL. Seoul believes that by consistently firing two or three times the number of shots fired by North Korean forces, it will deter Pyongyang’s provocations along the NLL. At the same time, President Park Geun-hye’s stance that Seoul is open to dialogue with Pyongyang while still willing to retaliate firmly to any provocations has clearly not achieved any progress. In fact, the recent escalations demonstrate that inter-Korean relations cannot move forward. Ninety-one percent of experts in South Korea believe that sanctions against North Korea should be lifted to ease tensions. Given that Seoul imposed the sanctions over the sinking of the corvette Cheonan in these contested waters, however, as long as the provocations in the Yellow Sea continue, the South Korean government can hardly act in a manner that would appear to reward Pyongyang for its bad behavior along the NLL. Add to this fray the increasing number of illegal Chinese fishing boats in the area, causing the two navies to uphold their respective maritime claims by chasing the poachers into overlapping territorial waters, and the NLL is ripe for further escalation in the near future.